Kiril Manolov – Baritono – Kiril Manolov Todorov (artistic name: Kiril Manolov) was born in Sofia, where he studied singing at the National Academy of Music. He was prize holder of various singing competitons in Bulgaria, but also in Wien, Warsaw, Barcelona and Brescia. His debut took place at the National Academy of Music in Sofia as Don Giovanni (Don Giovanni). His repertoire includes the roles of Nabucco (Nabucco), Simon Boccanegra (Simon Boccanegra), Amonasro (Aida), Marcello (La Boheme), Enrico (Lucia di Lammermoor), Germont (La Traviata), Renato (Un Ballo in maschera), Figaro (Il Barbiere di Siviglia), Dandini (La Cenerentola) and Falstaff (Falstaff),Escamilio-(Carmen), Carlo Gererd-(Andrea Chenier) and etc. 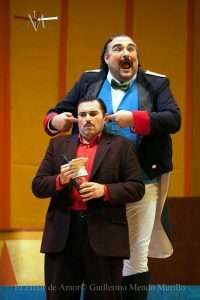 In 2010 he sang Falstaff (Falstaff) in new production at the Opera House of Wiesbaden and the same year he made his debut in Staats Oper Hamburg as Falstaff. In the next years he was heard as Falstaff (Falstaff), Miller (Luisa Miller), Figaro (Il Barbiere di Siviglia), Simon Boccanegra (Simon Boccanegra), Don Pasquale (Don Pasquale) and Amonastro (Aida) in Wiesbaden, as Luna (Trovatore) at The Opera Cologne, as Falstaff (Falstaff) in Hannover and as Miller (Luisa Miller) in Essen. 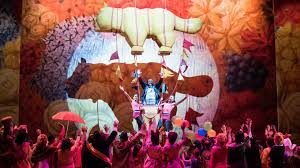 Falstaff (Falstaff) in Wuppertal, Dulcamara (L’Elisir d’amore) in Zagreb, Amonasro (Aida) in Nurnberg, Don Pasquale (Don Pasquale) in Darmstadt, Falstaff (Falstaff) in Budapest, Ravenna and Luca. Manolov sang Don Carlo di Vargas -(La Forza del Destino) in Parma, Ford-(Falstaff) in Piacenza, Amonasro-(Aida) in Opera of Roma, Dulcamara -( L’Elisir d’amore)-Deutsche Oper Berlin, Sharples – (Madama Butterfly)-Las Palmas, Nabucco – (Nabucco) in Triest, Falstaff-(Falstaff) in Deutsche Oper Berli, Reggio Emilia, Ferrara, Savona and Triest. He sang with big success new producion of Falstaff (Falstaff) with Mo. Riccardo Muti in Ravenna Festival and Oviedo in July 2015. 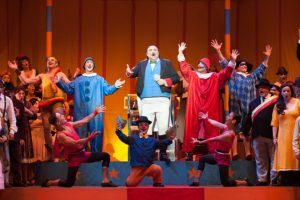 The Italian critics announced him like the new biggest Falstaff in the world. In the next season Manolov will sing Don Carlo di Vargas-“La Forza del Destino”in Tampere, Michele end Ganni Schicchi in “Il Trittico” di Puccini a Opera di Roma,”L’elisir d’amore”-Dulcamara in Seviglla”, Falstaff”-Falstaff with Mo Muti in Savolinna Opera Festival,”Nabucco”-Nabucco in Caracalla Sommer Festiva and Sofia Sommer Festivall, “Aida” – Amonasro in Montreal and Athens,Simon-“Simon Boccanegra ” in Antwerpen, Nabucco in “Nabucco” in Stuttgard and ecc. Manolov will make his debut in Rigoletto in July 2017 in Savonlinna opera festival.